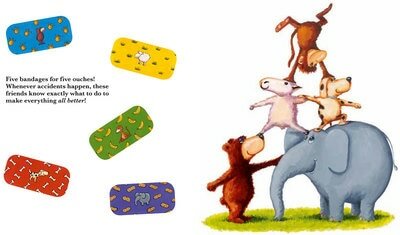 Whenever ouches happen, these five accident-prone friends know exactly what to do to make everything OK: clean it, kiss it and put a bandage on it! 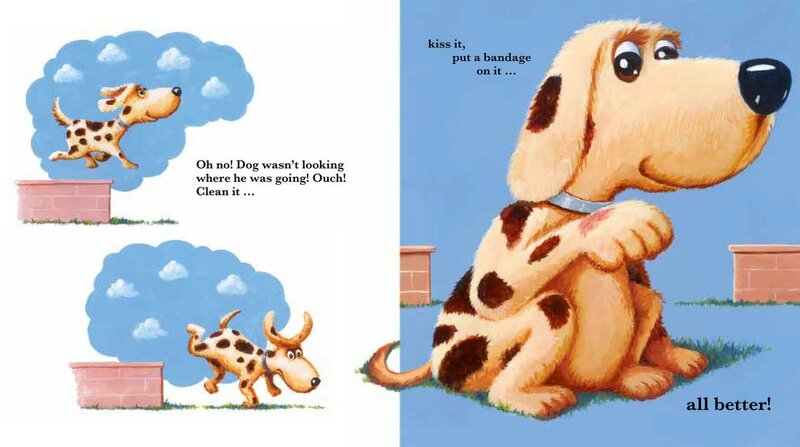 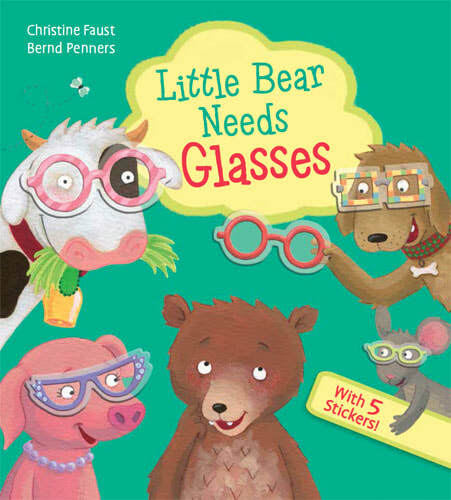 When Dog hurts his foot, Sheep scratches her tummy or Bear sits on a splinter, young readers will be eager to help make things All Better with the five reusable and repositionable stickers. 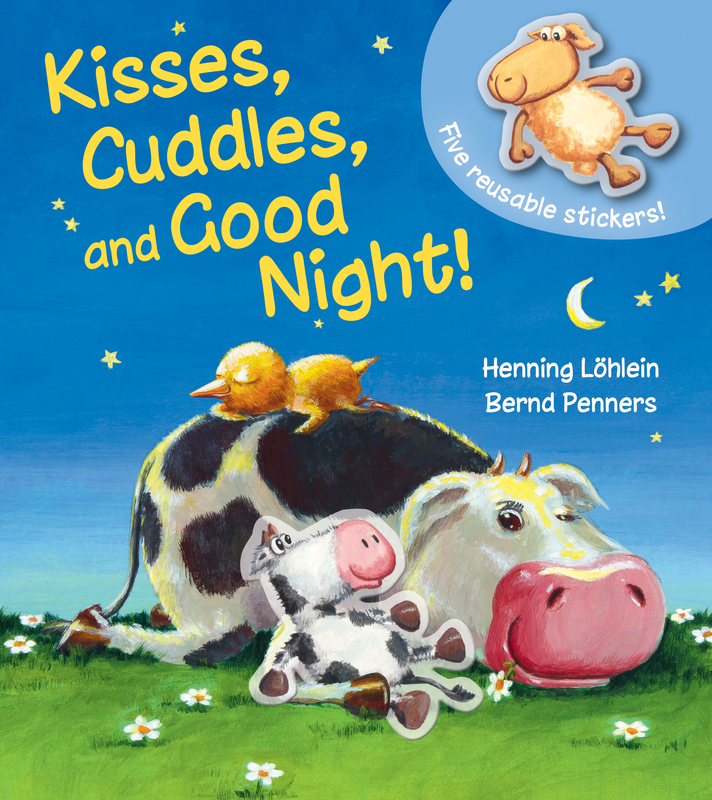 There is a matching bandage for each animal in the book, and with the gentle, repetitive text, the large illustrations, and lots of empty space to provide plenty of room for pairing the right sticker with the right friend, everything really will be All Better!